This close-up map shows the 65 major battle sites of the Northern Colonies. The British Royal Navy had blockaded every Colonial port to insure the Colonist were contained. The British navy was capable of transporting armies of support troops in a matter of hours or days. The Colonists had no navy, therefore,weeks or months were needed to move support troops overland, across rivers, streams and swamp land. 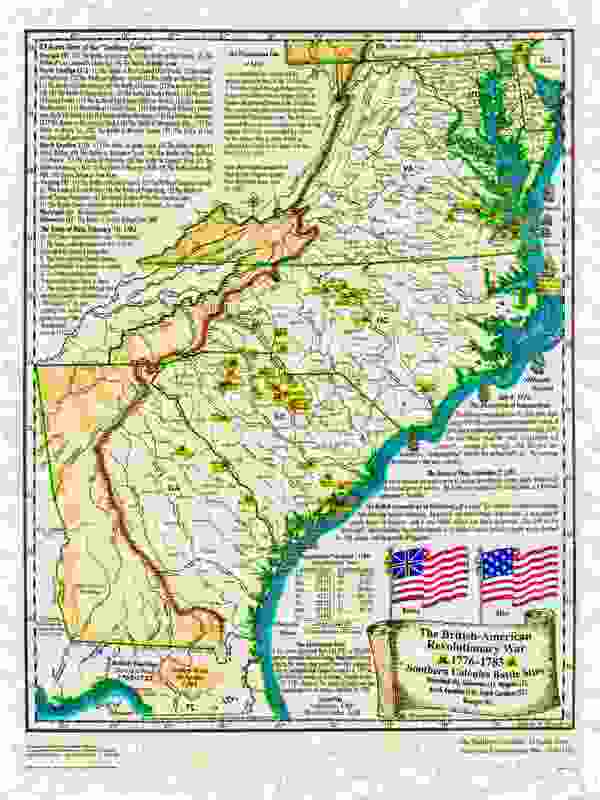 Here is a close-up of the 43 major battle sites of the Southern Colonies. It was the brilliant military strategy of General George Washington and his Continental Army, along with the French naval support under Admiral de Grasse, that brought a sudden climax to the 7 year war. On October 17, 1781 Lord Cornwallis raised a white flag of truce, 2 days later, October 19th "The Surrender at Yorktown" became official. George Washington was president of the Potowmack Canal Company before he became the first president of the newly created 13 United States. 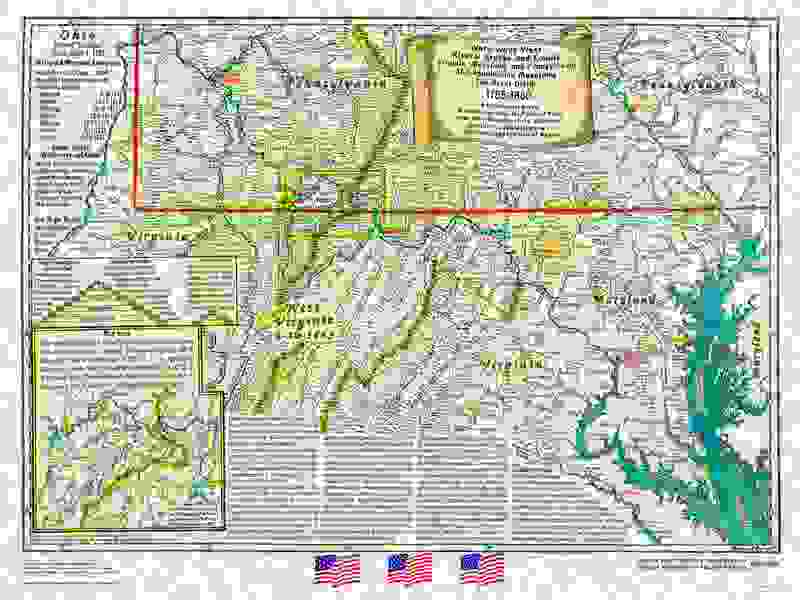 Washington was a highly respected surveyor, businessman and outdoors-man. He envisioned a waterway west thru the Appalachian Mountains, to connect with the westerly watershed of the many tributaries of the Ohio River. 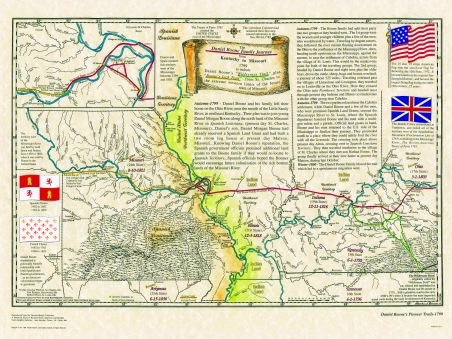 In Autumn 1799 Daniel Boone and his family left their home on the Ohio River, near the mouth of the Little Sandy River, in northeast Kentucky, their plan was to join young Daniel Morgan Boone(son of Daniel Boone)along the north bank of the Missouri River in Spanish Louisiana, present day St. Charles. Daniel Morgan Boone had already received a Spanish Land Grant and had built a two room log house at present day Matson, Missouri. 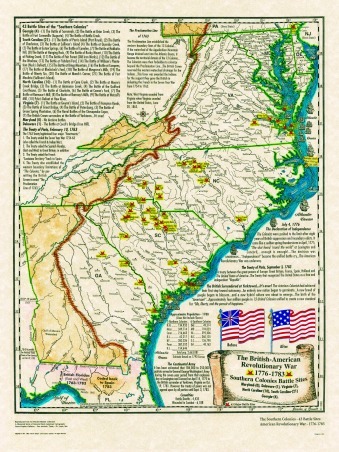 Knowing Daniel Boone's reputation, the Spanish government officials promised additional land grants to the Boone family if they would re-locate to Spanish Territory. 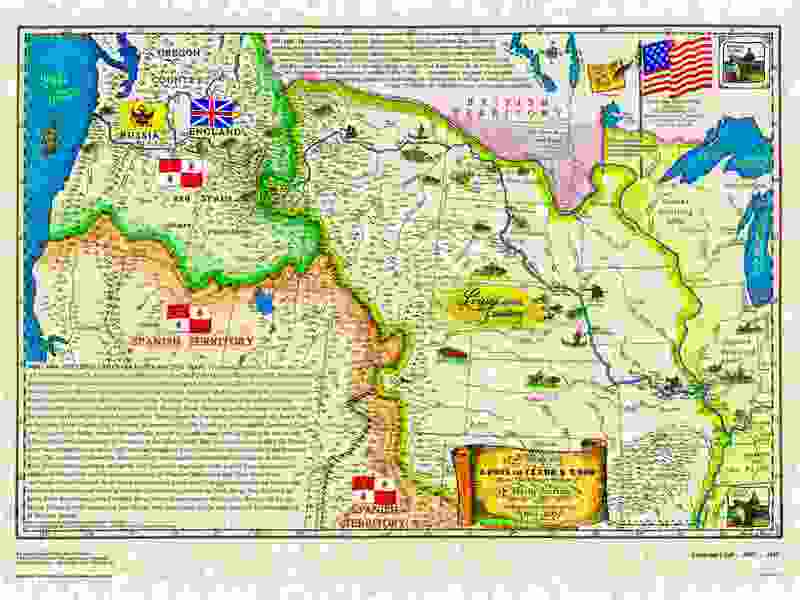 Spanish officials hoped the Boones would encourage future colonization of the rich bottom lands of the Missouri River. 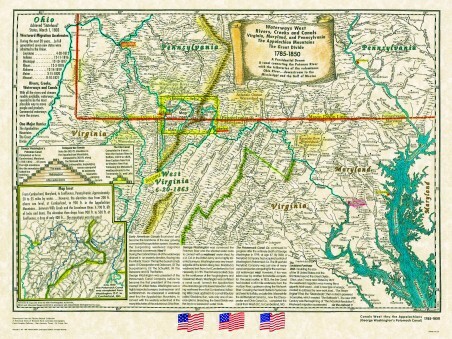 Thomas Jefferson, President of the United States, initiated an extremely bold plan to explore the vast area of land west of the Mississippi River prior to the purchase of the Louisiana Territory. He commissioned Captains Meriwether Lewis and William Clark to Explore and chart the true course of the Missouri River and all its principal tributaries. The purpose was to ascertain the most practical and direct water route from St. Louis to the Pacific Ocean. 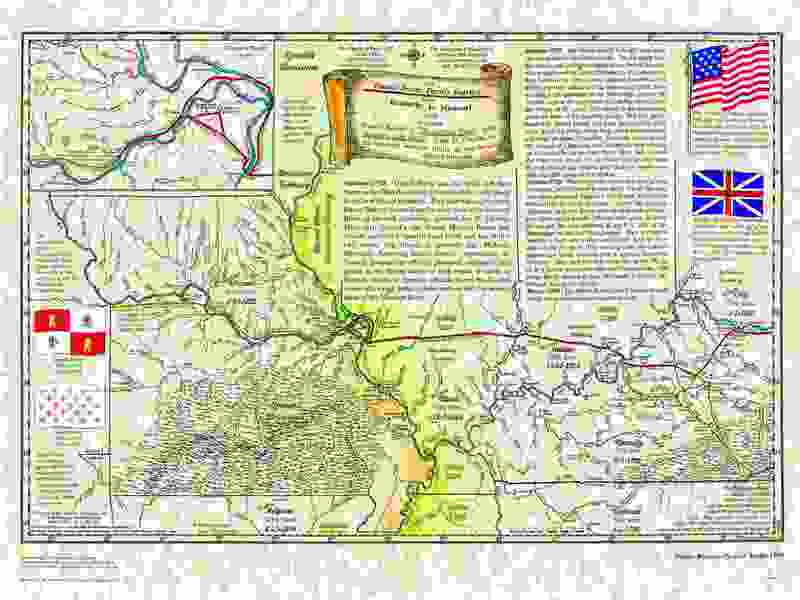 The Lewis and Clark Expedition left St. Charles, Missouri in May 1804 and arrived at the Pacific Ocean in November 1805. 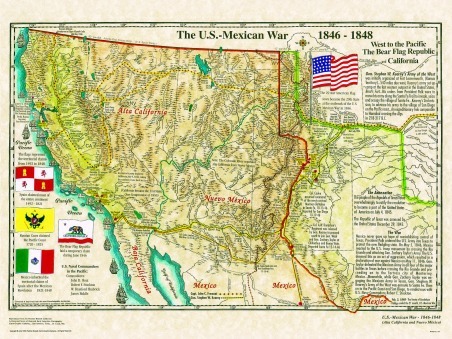 The Mexican Army had crossed the Rio Grande in attempt to regain possession of Texas, this ignited the fuse that led to the U.S. Mexican War 1846-48. 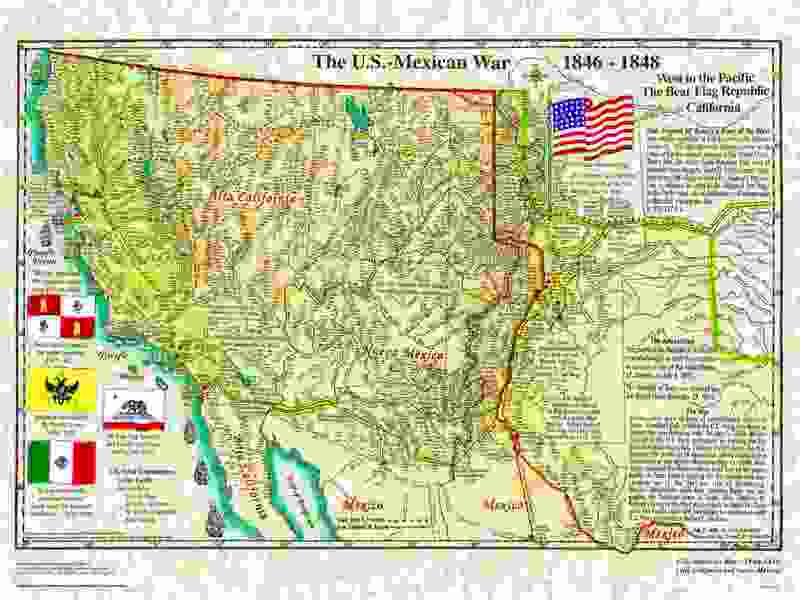 Not only did Mexico lose the war, but all the territory below the 42nd parallel, south to the Gila River. 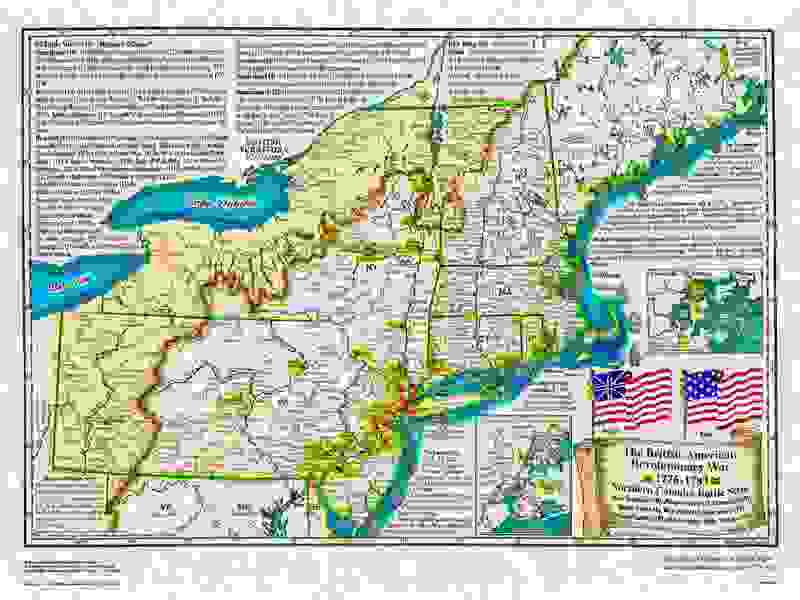 The U.S. military forces blockaded every seaport in the Gulf of Mexico, plus every seaport on the Pacific side, to include every port in California. 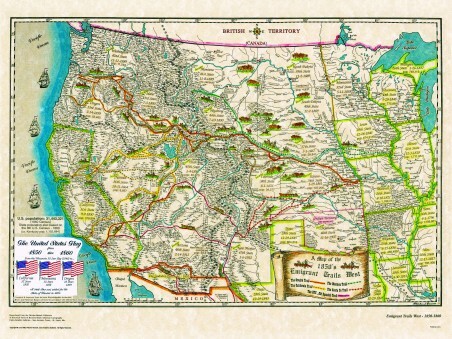 This map shows the emigrant trails heading west during the 1850's. 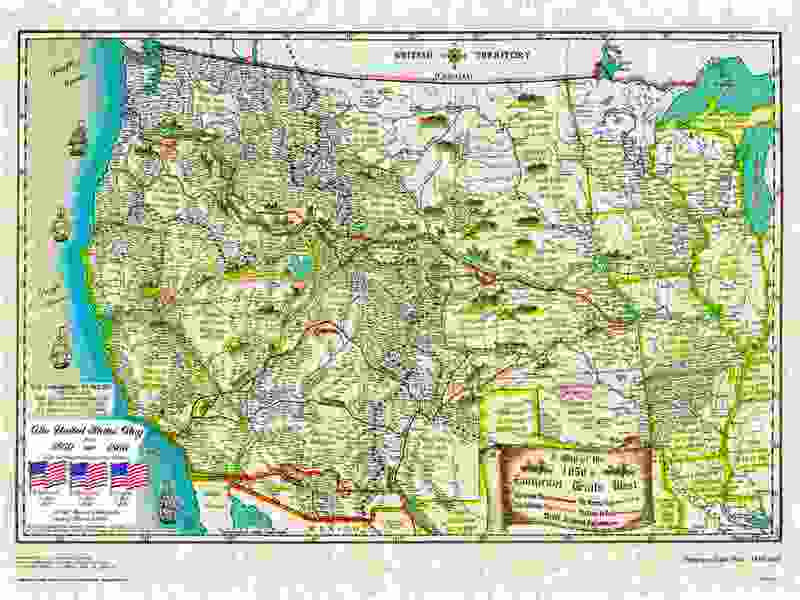 The Oregon Trail, the Mormon Trail, the California Trail, the Santa Fe Trail and the Old Spanish Trail.